Although some days are still reminiscent of winter, rest assured that summer is on its way. 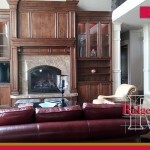 Before the gorgeous weather and busy weekends arrive, take the opportunity to ready your home for what can be the harshest season. Inspect and care for your furnace and air conditioner. After months of use, your furnace could use a little TLC. Check and clean the filters, replacing any as necessary. Air conditioner filters also need to be checked and changed when dirty or have been used for 3 months. Cleaning the coils on your air conditioner can also help improve its efficiency. Test smoke and fire alarms. This is the perfect time to make sure that batteries are charged and devices are working. Summertime brings many fire hazards, and you want to be prepared. Also check that your fire extinguishers are in good, working order. Check your sprinkler system. You want to insure that there was no damage throughout the winter to your sprinkler system. Take this opportunity to make sure that the sprinkler heads are aimed properly, and you won’t be watering the sidewalk all summer long. Clean your ceiling fans. There is a good chance that you will be using your ceiling fans throughout summer and early autumn, if you aren’t currently. An all-purpose cleaner and a damp cloth will clean your fans perfectly. Examine your windows and screens. Not only do you want to make sure there has been no damage over the winter months, you want to make sure that screens are securely in place. Take the time to thoroughly wash all screens and windows, inside and out, and then secure screens back into their proper place. Consider installing window locks that will keep windows open to a specific position to ensure continuous ventilation. Be sure to open your foundation vents. Opening your foundation vents prevents air from getting trapped. The natural ventilation is good for your home for a number of reasons, including lowered energy costs and an increase in air quality. Once you have prepared your home for warmer weather, you can start thinking about all of the fun design and remodeling projects you can start! 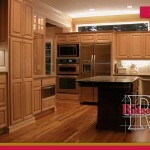 If you are contemplating beginning a summer remodeling project on your home, call us at Ridgecrest for a consultation. 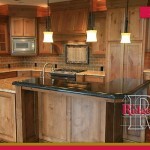 We are happy to be your local, experienced remodeler.